1248 CEO Pilgrim Beart chats with David Hill, Business Development Director at Open Energi. D: Open Energi is deploying ‘Internet of Things’ software within electricity consuming assets and paving the way for a new energy system; a system that is cleaner, cheaper, more efficient and more secure than the system we have today. 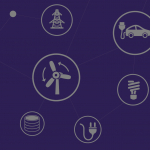 Our software is able to measure and monitor machine and appliance behaviour in real-time and subtly adjust electricity consumption in response to signals from the market, preventing fossil fuelled power stations from coming online and maximising our use of renewable energy, without any impact on consumer living standards or business productivity. Every appliance or machine that we connect to using our Dynamic Demand software is another step towards removing power stations from the electricity system all together – and the money that would have been paid to those power stations is instead paid to British businesses. D: To date we have signed over 25 customers and deployed our software within over 1230 individual assets across 275 sites. Appliances range from Heating, Ventilation and Refrigeration Appliances in Sainsbury’s, to Water Pumps and Waste Management Equipment in United Utilities. The total power of all the devices that Open Energi interacts with is about 45MW, of which we currently bid about 15MW – around 30% – into energy markets operated by National Grid. 30% represents what is typically flexible at any given moment in time. The remaining power is being used for its primary purpose, e.g. heating supermarkets or pumping water. It is only by being able to identify flexibility on a second by second basis that we are able to provide this service. One of the key challenges we face is being able to interface with different industrial and commercial processes – ranging from water pumps to bitumen storage tanks to refrigeration systems. These systems operate in very different ways and generate different kinds of data, so a key challenge for us is being able to collect and view this data in a coherent way, and then understand how all these different processes are consuming energy. Overcoming this problem is an essential part of how we can provide a consistent and reliable service to National Grid from many thousands of individual assets. Today many aspects of our interface with each of these processes inevitably become bespoke, which then leads to challenges in how we maintain and operate the software on all of our devices, particularly as we scale up. A key area for us is being able to simplify how we connect and exchange information with so many different control systems and processes. Standards could play a key part here – both in terms of how we connect to other devices and what information we exchange. 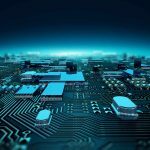 This would ease the process of connecting and maintaining devices as we scale up and allow us to focus on getting the maximum value out of the energy flexibility that we’re tapping into. For example, in the future we believe that all appliances with the ability to provide flexibility to the electricity market will come with those principles built in off-the-shelf, so that an air conditioning controller designed to maintain room temperature is every bit as used to responding to electricity market signals as it is to temperature, likewise with water pumps and bitumen tanks. Device management is very important when trying to operate service based on very large numbers of connected devices; we can only understand and quantify energy flexibility if we have an accurate understanding of which devices are online, and whether they are functioning correctly. Moving from the world we are in now, to the future I just outlined, will need collaboration with companies like 1248.